By Caz | January 1, 2019 | This post may contain affiliate links, which means we may receive a small commission, at no cost to you, if you make a purchase through a link. Read our Disclosure. 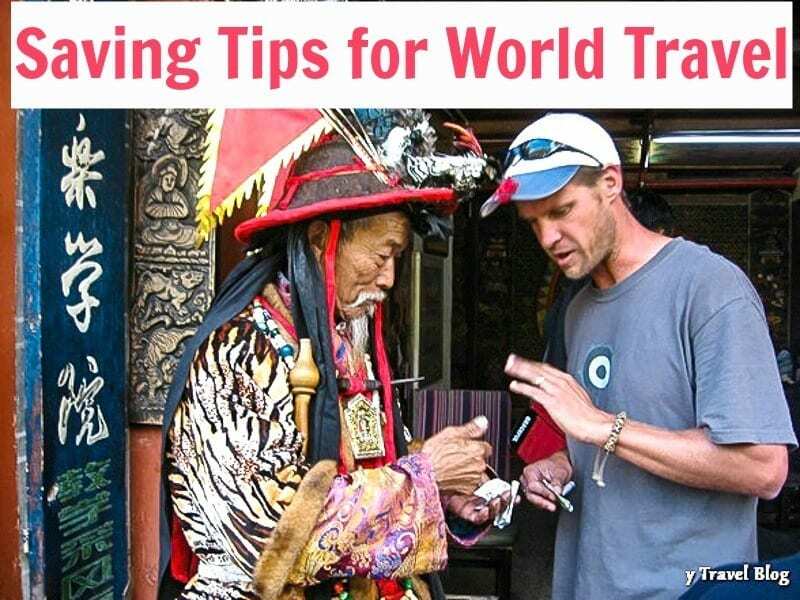 A reader sent me an email one day day asking for some saving tips for world travel. I am sure this is a problem many of us have. A lack of finances is what prevents people from beginning their travels in the first place. Many people have often mistaken us for being very well off financially to have traveled the way we have. I wish – not true at all. We just made smart decisions and stuck to some sensible saving tips for our world travel. Here are a few of our strategies that you might be able to put into practice when planning and budgeting for your travels. How Can I Create More Money in Order to Travel? How Do I Save Money for World Travel? Start thinking about what skills you have and what extra jobs you can take on to earn and save more money for travel. No, it is not easy. The last thing you want to do after a long, hard day at work is go to work again. But, how big is your dream? How much do you want it? I used to come home from a day of teaching, and instead of collapsing on the couch I would put my uniform on and head down to the local restaurant or bar and start my second shift, or I would gather my tutoring materials together to spend a couple of hours teaching privately. Craig also gave up his weekends to work extra shifts. Do what you have to do! Before we moved to the States, we had just come home from 5 months in Africa. Our bank balance was extremely low. We only had a few months to save several thousand dollars and it wasn’t looking good. Our airfares were already covered – Craig’s with his round the world ticket, and my free flight was paid for by my company. But we needed moving and living expenses. Time to find a job that would pay us extremely well and allow us to save. My brother convinced us to go to Kuri Bay to pearl farm with him. We knew nothing about pearling and decided it was time to learn a new skill and go for it. All our accommodation and food was paid for. We lived on camp, miles from civilization for up to 5 weeks at a time, for four months. We did nothing but work. It was tough, but after a five-week shift we walked away with $10,000 in our bank account. We did 3 five week swings. Pretty easy money after all. In 2002 before we left for our five-year honeymoon, we had our own 4 bedroom two story house. Instead of just the two of us trying to fill in the space we invited two people to come join us. Not only did we get extra cash coming in to our savings account, but we had lots of fun times together. Who can you bring in as a boarder? Or can you move somewhere cheaper and rent your place out? Maybe you might have to move back in with your parents for awhile. Ebay and Craigslist are ready to be your new best friend. Go through all your crap and sell what you don’t need or use. 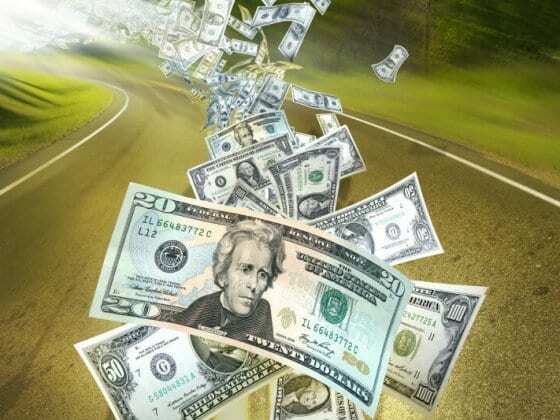 Even if you only make a couple of hundred bucks, that is money that will give you a few days in Asia or Africa. It is all worth it. This is one of our favorite strategies. 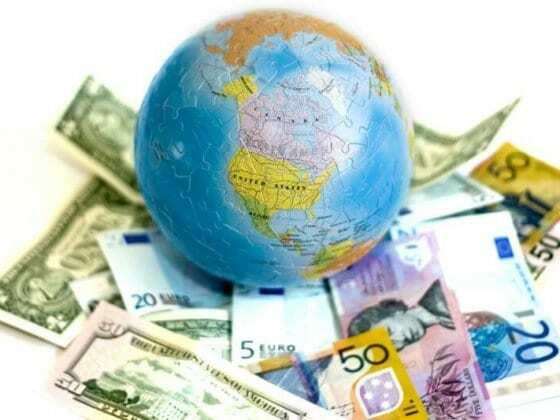 If you plan to make your travels around the world long-term, and you haven’t saved up a bunch of cash beforehand, then one of the best ways to fund your travels is to work as you go. We’ve had many jobs around the world that allowed us to live as an expat and explore the region. This means you don’t have to save as much to begin with and once you are there you’ll be earning the local currency. You also get to experience another culture deeply by being immersed in the day to day living. You can hop from country to country on different working holiday visas, and if you are lucky enough you might land a work opportunity that provides you with free flights and accommodation. This happened to us in Australia, Thailand, and the USA. This has given us huge lumps of money at times to travel with. Tax returns and bonuses are unexpected win falls. Don’t ever use this money for anything other than paying off debts or saving for your dreams. Take that cash and put it straight into your savings account. In 2005, we were getting ready to road trip south to Florida for the summer months and did not have anywhere near the amount of money we needed. From out of the blue, a friend I worked with in Dublin contacted me to let me know I had back pay due to me from when I taught in Dublin for 6 months. After arranging how she could deposit in my bank account for me, I had $2,500 to go play with on our road trip. If you find you have a wardrobe full of clothes never worn, or a shed full of unused toys then you are not clear on what you want from life or your purpose. The stuff is filling that void for you. Why are you here? What do you want your life to be represented by – stuff or memories? Is buying ____________ worth giving up travel for? (or any dream you want)? Could this ____________ be worth more to me than learning to dive on the Great Barrier Reef? How will it enrich my life and bring me closer to my goals? You don’t really need a lot to survive, nor to have a great life really. You can get by with less. Your life will feel less cluttered, which will free up more energy in order to attract more money to you. One thing we loved about living in big cities like London, Bangkok and Dublin was that we did not need a car. Cars are expensive. Not only do you have to buy it, you have to insure it, maintain it, and fill it with expensive fuel. This is probably the one we have most difficulty with and I blame travel for this. We are too used to going out to eat, especially in cheap countries like Asia and Africa. The first place to cut is buying your work lunches. Take your own lunch to work, including drinks and yes… coffee...bye bye Starbucks (weep). Reduce dinners out as much as you can and substitute them for picnics at the park or barbecues at home with your mates. Make eating at home fun by trying new recipes and drinking local beer and wine while you cook. This was one of our biggest strategies for saving a lot of money fast. If you don’t put this into practice before you know it you will have spent both your wages on stuff you don’t need. Decide whose wage you can live off (after you have followed these saving tips for world travel) and then bank one whole complete wage into a savings account and live off the other. If you don’t have the money for something, then you can’t do it. Use a high-interest savings account for your travel fund. Automate it so that a certain amount goes in there each week, or month, depending on how often you get paid, and reduce your access to it to avoid temptation. Research to find out which savings account is going to give you the best interest with low fees. In Australia we use the ING Savings Maximiser account as our travel fund of choice. The lower your travel style, the lower your costs and the greater chance you have to get on the road earlier and for longer. Choose your destinations wisely. My first trip abroad was 3 months in Indonesia, which was incredibly cheap. I then moved straight to London where I lost two thirds of my money when I flew into Heathrow. Ouch!! Lucky I was moving there to work. I was only there for about two weeks before I was working behind the bar in Liverpool St for the summer waiting for school to start again. Now that English pounds were flowing into my pocket I could breathe again. Of course earning the pound meant that my money went extremely far when I traveled Europe for the summer in a campervan. Working out a strategic travel plan will really assist you in saving money for your world travel. It will show you just how possible it is and how little money you really need. I hope these saving tips for world travel have helped you see the light. Keep believing in your dreams. If you want it bad enough, you will find a way. What are your thoughts on saving for long-term travel? Can you share any money saving tips? Gonna do a bit of shameless self promotion here and plug our Frugal February project which was dedicated to saving money for travel. Really really useful tips, thank you! I feel really inspired now, I guess that if you have a dream, there is always a way to try and save for it! When traveling in Asia, where most of foreigners take cabs, i try to take public transport too, not only you save money, but also get to learn a lot: language, about the geography, the local people, the area. Another thing is restaurants, i try to go eat following some local. I may get some stomach ache the first day if I am not used to it, but, its cheaper and plus, you get to learn what do they really eat. Thats the whole point of traveling after all no? it does not make sense to go to another country and try to live on starbucks like if you were home. thanks! If your dream is BIG enough you will find a way to sacrifice and get it done. But you have to have a big enough reason WHY? And yes, traveling like the locals is always best financially and for interaction. I am a single mom planning an around the world trip with my daughter in two years time. It might seem like a long time away but it coincides with the paying off of a HUGE loan and a number of months to use that freed up money to bump up my savings. I have a boarder that has been with us for a couple of years. I recently renovated my basement so I could get a second boarder in and fast track our savings (paid for the reno with my tax return). I am also planning to rent my house while we’re away so I can cover my mortgage, property tax, insurance and condo fees. Fantastic tips! You have to be intentional about saving and sacrifice in order to get what you want. I live in a one income household with two kids in the most expensive state in the US – California. Yet I have no debt. I made it a focus of mine to pay off debt that I have and I refuse to live in debt. In 2009, I had a car accident that forced me to buy a new car for my family. In Sept 09, I bought a 2005 car. In April 2011, that car was paid off. Living on a budget is essential whether you are traveling or not. There are lots of little tips but you must know the difference between needs and wants and sacrifice you wants to get something you want even more. One of the biggest things I would encourage people to do is pay off their debt as this will be something that can really free you up once it is paid off. I love the line, “trade your materialistic things for memories.” It is all about priorities. Our tag line is….”it’s all about the memories”…cherish them. These are all such great tips! I follow a lot of them myself already, but will make note of some new ones! Tax refunds are the best…. too bad I already spent this year’s though. Hi – good post. My only question is working holiday visas for US citizens are only in a handful of countries. How were you able to work in London? We are Australian, so for us it was easy. Aussie get two year working holiday visas. We offer the same back. Not sure how American’s go about working there though. We followed a lot of these same principles when we saved for our trip. Our biggest accomplishment wasn’t saving for the trip, it was paying off our student loans before the trip- leaving us with no debt hanging over our heads. That made travel A LOT easier and coming home even better! The key is to find out where you spend your money and then decide where you can cut back!! Useful tips, particularly the ‘get rid of your crap’ one. I also often barter, trading in one item I don’t need for another I do. One more thing: create a nest egg wghich you will – absolutely not – touch. I do this by buying gold, mostly in the form of coins and stash them in the bank..then forget abiut them. If ever there is an emergency, they can easily be converted into cash. My wife and I are in the process of simplifying our lives to free ourselves up for new opportunities in life, but we also hope to do a lot of traveling. This certainly gets me thinking in the right direction. Good tips for sure. I’ve already cut back as much as possible so it’s time to work on bringing in more cash! Any recommendations on a working holiday job site? I’m trying to gather up my resources now so I can follow your last step better. Start with here https://www.ytravelblog.com/working-abroad-2/ There should be a whole lot of resources that you can use. You don’t want to know what my brother walks away with in the bank after a year of working here! Great tips. Actually pearl farming sounds pretty exotic to me, stuck in England. What do you have to do? Hey Caz! Love the website, so much quality info! This sounds like a very interesting working opportunity, how could how could I find out more? Awesome tips here – enough to silence any naysayer who says they can’t afford to travel! It is all about priorities…, right? this post such a motivation to me, I always said to people who asked me a lot ‘how you get much money for traveling’ GET SAVING DUDE!!! What a wonderful article this is, I need to earn a lot of courage to follow your lead. Sacrificing all the things that you are used to save money for world travel is actually needed. The most useful tip I got is to have a working holiday visa. I’m a teacher myself so I guess I can dot it. Wish me luck! You can do it Chris! I am recently divorced and am looking for that BIG change. I have always wanted to spend my life traveling not sitting behind a desk spending my life wishing. I was a flight attendant once and after reading some of your posts man o man am I thinking not only should I look into it again, its time to stop wishing and hoping and start LIVING! Great tips! Sometimes working the harder jobs etc mining or hard labour is cant hard and exhausting but in the end you are paid very well and as you have said, if its your dream, you struggle through it! Absolutely! I feel like I am so way behind everyone most of the time with stuff and technology because I never collect any of it. I think it is fine to have these things in your life as long as you aren’t attached to it and it is not detracting you from living your dreams. Indeed! In the end, the things you do make memories not the fancy gadgets you have! Its nice to have new things but as I grow old, i want to experience more thing than get new laptops or phones. I would rather use the $2k for a new laptop on a plane ticket! Hi, some great tips. Just wondering how you go about travelling with 2 little kids – all the expense of christmas and birthdays and extra stuff? We intend on doing a couple of years travelling with 2 little kids in a couple of years and just wonder how you manage. You just have to be really selective with what you spend your money on. Remember memories are more important than possessions. Children will be fine if they only receive one small gift on these special days. Make sure you know what your priorities are and plan your budget around that. I just stumbled across your blog today and have been reading a whole bunch of your articles! I am currently in college and have always wanted to travel but I have not had the means or time to do so. I love all of your tips! Hopefully after I graduate I will be able to travel all around the world! Thank you for all of your tips and the inspiration you have given me! Hi, I’m reading your issues on your year round family travel and I really enjoy it. I wish I could use all of your advises for earning more money out of the things that we possess( and probably not need). I haven’t used e-bay yet but I think I should give it a try ( I live in Athens, Greece) . I do travel ( in Europe and USA) and really enjoy it. Last summer me ( 50 ) and my daughter ( 16) drove with our little car all the way from Athens to Switzerland through Albany,Montenegro,Croatia, Bosnia, Slovenia and North Italy ( 6.500 km roundtrip) in just 12 days .We crossed borders 15 times!! We fell in love with the Dolomites region ( were North Italy borders with Austria) and with Venice. Slovenia is a surprise with beautiful lake Bled, Triglav gorge and the Postoina caves. Croatia is proud of the Plitvice waterfalls and has a reason for that. We surpassed a sudden difficulty ( my mother in law died the very first night of our trip , so we speeded in 3 days to Bergamo , Italy ,parked the car there , catch a plane that cost us a fortune , came back for a few hours and return next day to continue with our trip).The hole trip cost us about 1.500 euros ( except for the unforeseen costs of airtickets ) .We have booked our accomodation from booking.com and saved a lot and we ate only at night , buying cheese and ham from the supermarket. That way I lost 4 kg!! and speared a lot of money. But the best think was that we had a great time together with my daughter, she was my precious co-driver , responsible for the maps and did an exccelent job ,we talked a lot ( while I drove almost 10 hours every day!!) and never quarrelled ( something that happens all the time back home , with the tension of schools , jobs etc). We are a family of 4 ( me , husband, daughter of 16 and son of 9). My wish for 2015 is to persuade the rest 2 of our family to join us this year in another challenging trip. I wish you a happy new year and all the best for your travels to come. Thank you SO much for sharing this! It’s easy to look at people who travel all the time and think they are simply living the life without paying off a cent so this is such an important message to anyone and everyone who travels! Sacrifices are hard but oh so worth it! I love this! I’ve been traveling a lot recently, and posts like this always keep me feeling inspired to keep doing what I’m doing. Great advice on saving money! It is the most common question we get asked after traveling the world. How can you afford it? As you mentioned, if you really want to travel, it should be easy to give up a few luxuries and save for that epic trip. We have now seen over 100+ countries with fairly average wages so yes, it is possible! Love your blogs and your inspiration. Happy travels!